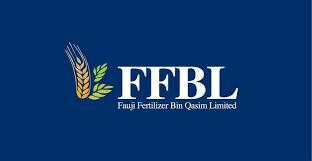 Fauji Fertilizer Bin Qasim’s (FFBL) net profit decreased by 73.2 per cent during April-June quarter of 2016, according to a notification sent to the Pakistan Stock Exchange on Tuesday. The company reported a net loss after tax of Rs 381 million or Rs 0.41 per share for the quarter ended June 30, 2016, down 73.2 per cent compared to Rs 660 million or Rs 0.71 per share it earned in the same quarter of the previous year. Whereas the company skipped the dividend this time contrary to the dividend per share of Rs 0.75 it distributed last year. “Result was below our projected net loss after tax of Rs973 million,” said AKD research. Following the result announcement, the fertilizer’s share price appreciated by Rs 1.35 or 2.51 per cent to Rs 54.98 compared to Rs53.63 per share of the previous day. In total 4.6 million shares of the company were traded on the result day. The FFCBL reported revenues of Rs 7.4 billion during the second quarter of 2016, a decrease of 39 per cent compared to Rs 12.1 billion it earned in sales during the same quarter of 2015. “Decline in second quarter earnings can be attributed to lower DAP [fertilizer] sales – down by 39 per cent YoY –, falling international DAP prices which have squeezed primary margins on DAP and higher financial charges [because of] increase in borrowings for the purpose of acquisitions and working capital requirements,’’ said Saqib Hussain, an analyst at Sherman Securities. According to the AKD research, the increased feed and fuel gas prices in 1st Quarter of 16 also affected the fertilizer’s performance. Well, it is tough to understand the unexpected fluctuation in the trade market, so the business owners have to be fully attentive about the rate of their shares in the market.